The Best Easy Homemade Hummus recipe that ready in just minutes. 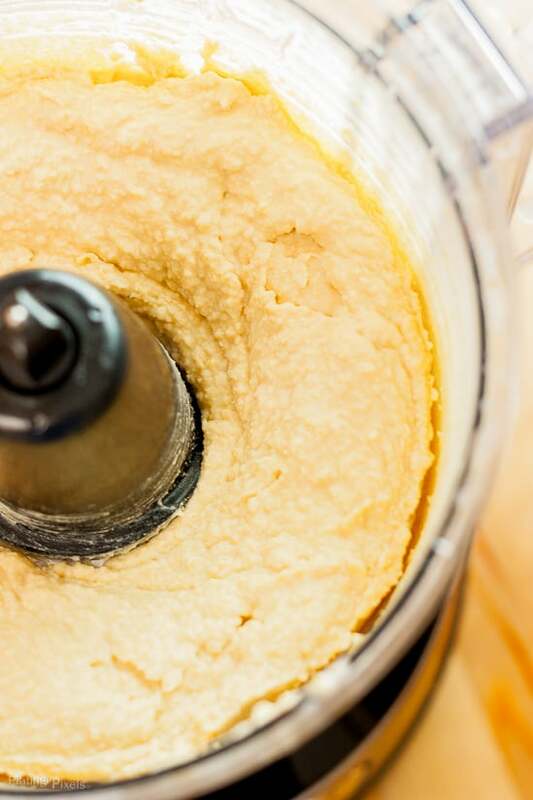 Chickpeas, tahini, olive oil and garlic make an easy homemade hummus. Within this post you’ll learn how to make easy homemade hummus. You’ll also learn about the different types of olive oils; what makes them different, what flavor they have, and which one can you cook with. 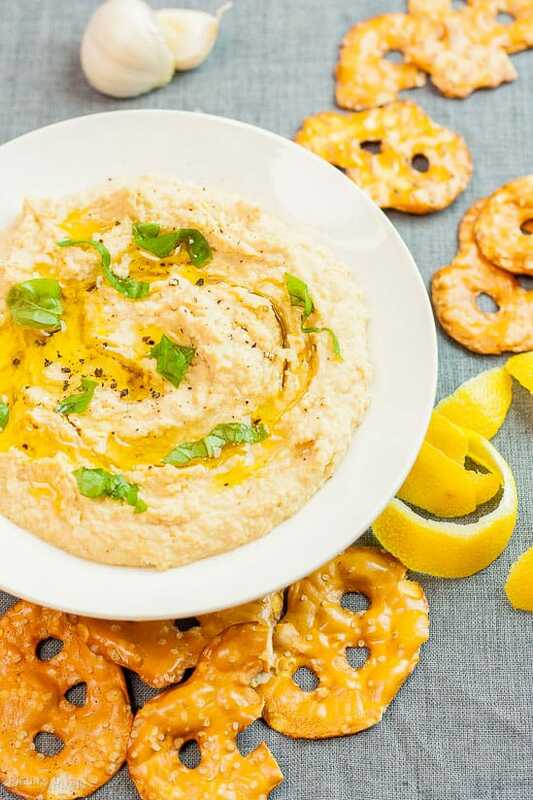 This easy hummus recipe packs a lot of flavor. I’ve never made homemade hummus, like ever, until now. It’s surprisingly simple and may just be the Best Easy Homemade Hummus recipe. This homemade hummus has just a few standard ingredients that make the best hummus. 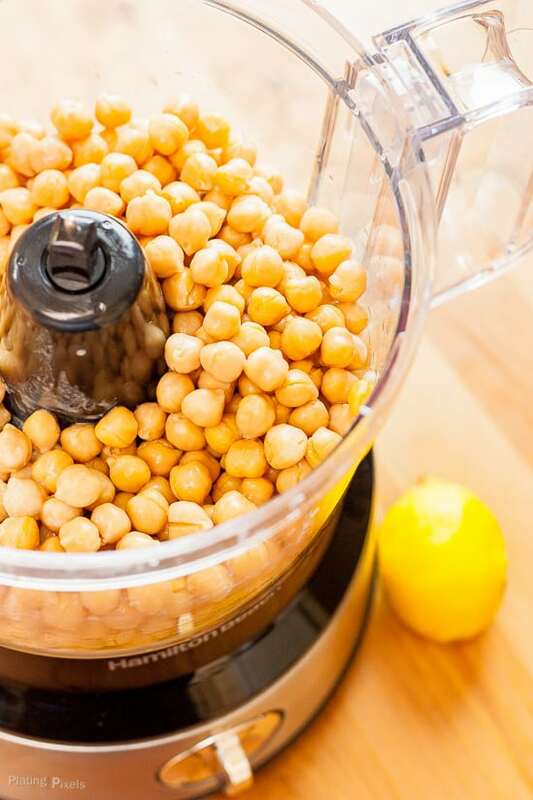 Chickpeas, tahini, and olive oil are the essentials. Then you can add things like garlic, salt and lemon, and you have a basic hummus. I’m working on some fun variations, including one with roasted tomatoes. This recipe is also vegetarian, vegan, and gluten free. Win, win, win! You’ll need a food processor and just a few minutes. Throw in all the ingredients and blend until thick and creamy. Add more or less olive oil (or water) to reach desired thickness. It thickens as it chills so don’t make too thick. Note: since there are so few ingredients in this recipe, the better the quality you use, the better the flavor. Which type of olive oil should I use for homemade hummus? If you’re like me you’ve wondered why there are so many olive oils, and how you’re supposed to use each one. I’m not even talking about flavored ones. The main varieties are Extra Virgin, Virgin, and Light. Extra Virgin – This is the highest quality olive oil. The oil is extracted through a process called “cold pressing”. Only pressure is used, without being heated. This is the most flavorful and should be used in dressings, as toppings, or in recipes like this homemade hummus. It’s best not to cook with this. Virgin – Made the same as extra virgin, but with riper olives. It has slightly less flavor and can be used in low-heat cooking. Light – This has the least flavor of all three, is very light in color, and best for baking or cooking. You won’t get as much olive flavor in the recipe, especially good for sweets. It also has the highest smoke point, so you can sauté, grill or even fry with it. Dietary Options/Substitutions: None: gluten free, vegetarian and vegan! 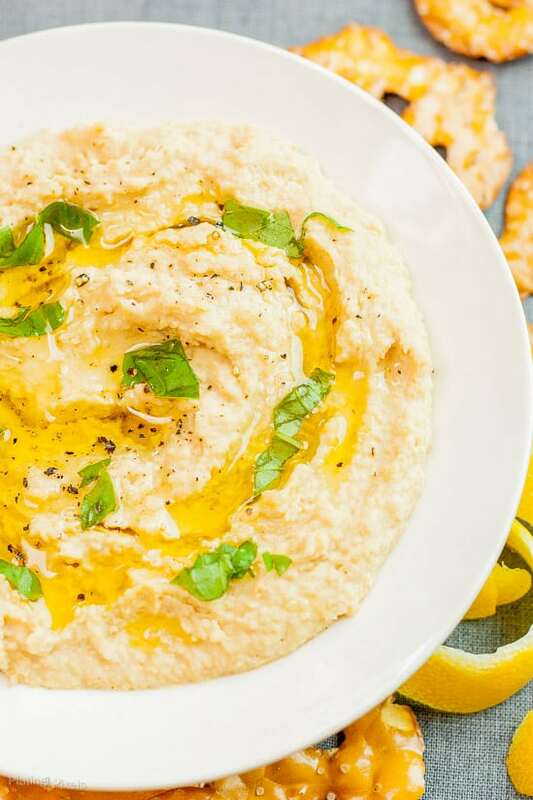 The most flavorful easy homemade hummus you can make in minutes. Add all ingredients (except black pepper) into a food processor. Start with the 3 tablespoons of water, and add more later. Process until smooth and creamy, about 3–4 minutes, scraping sides as needed. If too thick, add more water or olive oil, 1-tablespoon at a time. Serve immediately or place in fridge, covered for 30 minutes, to thicken up and cool (best option). Sprinkle with black pepper and serve with fresh vegetables, pretzels, crackers; or in a sandwich, pita or wrap. So simple!! Love it. I eat hummus aaaaallll the time. Thanks Brandon! Hummus is amaaaazing! I always keep chick peas on hand for this quick and easy dip! My family loves hummus! That’s a good idea Cynthia! This is so easy I’d make it way more often if I had the chickpeas on hand. My husband and I go through 2-3 tubs of hummus a week. Must add this to our “to make” list! Wow Steph. I probably would if I had that much on hand too. I’m the same with yogurt, I eat so much! Thanks and hope you like it! Look forward to trying this. I’ve been looking for a really good hummus recipe! I hope you like it Carol! Thanks! I have a slight hummus obsession – I just never tire of it! And I’m capable of eating way too much in one sitting 🙂 This looks absolutely delish! I try to portion control as well; not always successful at that. Thanks Kimberly! It does go quickly Kristina! It’s a pretty basic recipe but realized I should have one on the blog. Thanks! Love the post, Matthew and yes, Yosemite is on the list:) Hummus is a great snack and super versatile. I think you’re onto something with the roasted tomato idea. I do a roasted red pepper and smokey paprika one that super tasty. Love the photos! Ooh your version sounds amazing too! I’ll post the tomato one soon(ish). Just working on consistency. Thanks and hope you make it there! 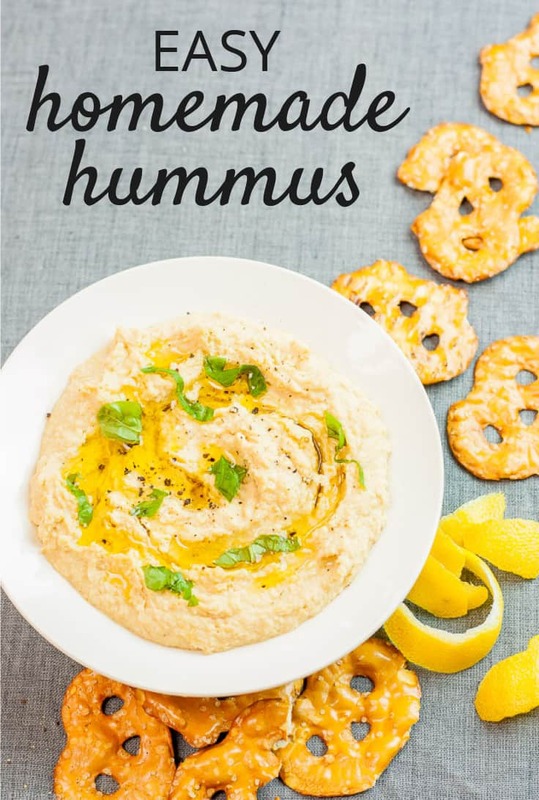 Great and easy hummus recipe! I love hummus on pretty much everything! It totally is Fabiola. Me too!